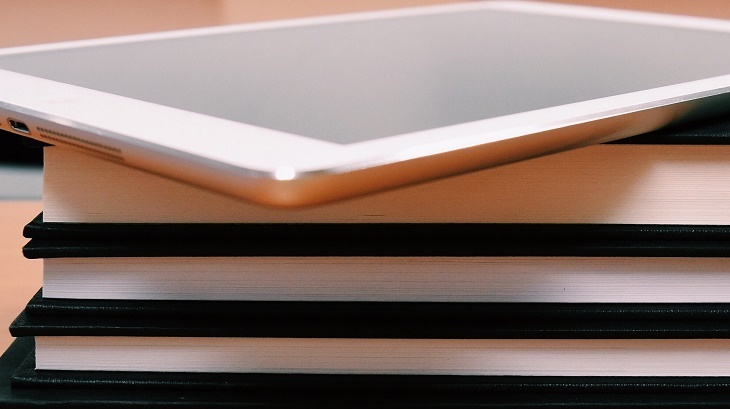 Let’s face it, gaining access to information for today’s learners is a whole lot quicker, easier and more efficient than it was a generation before. Where our parents would wander down to the library to spend time finding the right sources for their projects and study materials, all we have to do today is go online. In his 2019 SONA address, President Ramaphosa made reference to the government’s vision of every SA learner being equipped with a tablet within the next 6 years. But is this form of study an improvement on the good old pen and paper? Does scroll and click offer any advantage over concentrate and write? Not according to Cambridge University Chair of Science, Professor Chris Smith. He believes that while access to as much information as you can possibly handle is the obvious benefit of new technology, it will never replace the brain’s preferred process of writing with the hand on a piece of paper. Take a pen and paper and try write out the layout of all the keys on your computer. What most people will do, is “ghost type” – that is, they’ll move their hands on the table as the brain tries to remember the position of each letter on the keyboard. Why? Because the memory of your keyboard use is stored as motor movements – a programme your brain uses to store this type of information. When you take notes in class, with a pen and paper, your brain is doing the same thing; making a motor programme that accesses that piece of information you are writing. Because writing is slower, and more directly connected to what you are thinking, the process is “stickier” – more cognitive. You are creating a motor memory of the concept you’re transcribing, not just the letters of the alphabet. The other obvious downside of tablet use in classrooms and homestudy, is the amount of distraction the web sprays out. Notifications, updates, social media messaging – all potentially damaging to the learning process. According to Prof Chris Smith, the only answer is quality teachers. Nothing can replace the impact a motivated, knowledgeable educator can have on a young mind. As for the tools they use? What about old school vs new school? It seems blended learning will be the best way forward. A bit of the old with a bit of the new. As it’s always been, really.